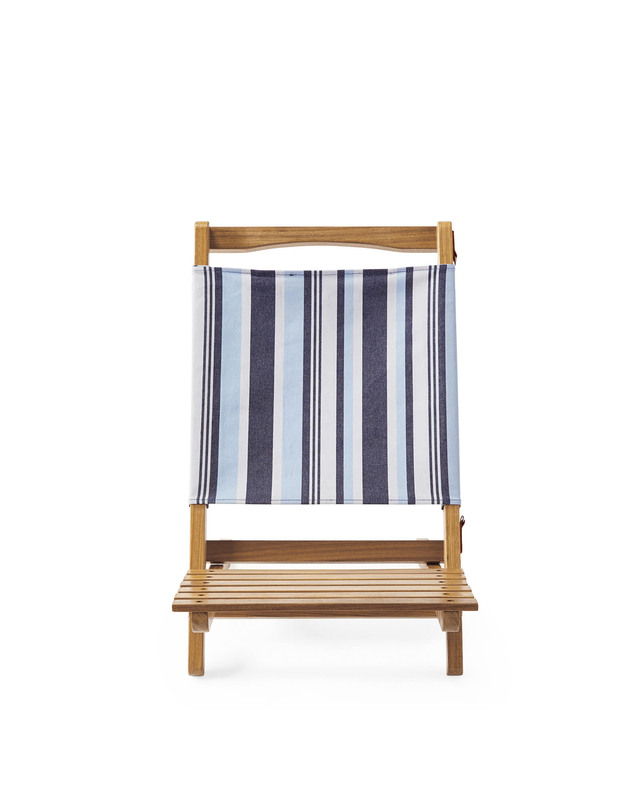 Hyannis Surf ChairHyannis Surf Chair, alt="Hyannis Surf Chair, "
Print Nautical stripes, a light-as-a-feather frame, a shoulder strap for easy toting. 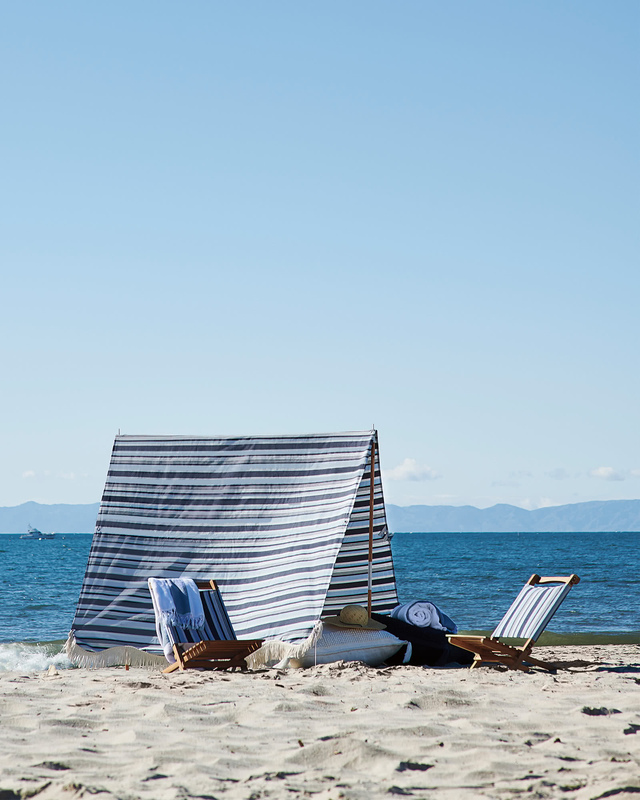 Every detail of this laid-back, low-profile chair was designed with the perfect beach day in mind. Setting up takes mere seconds, and a zippered pouch behind the backrest provides a place to store valuables. 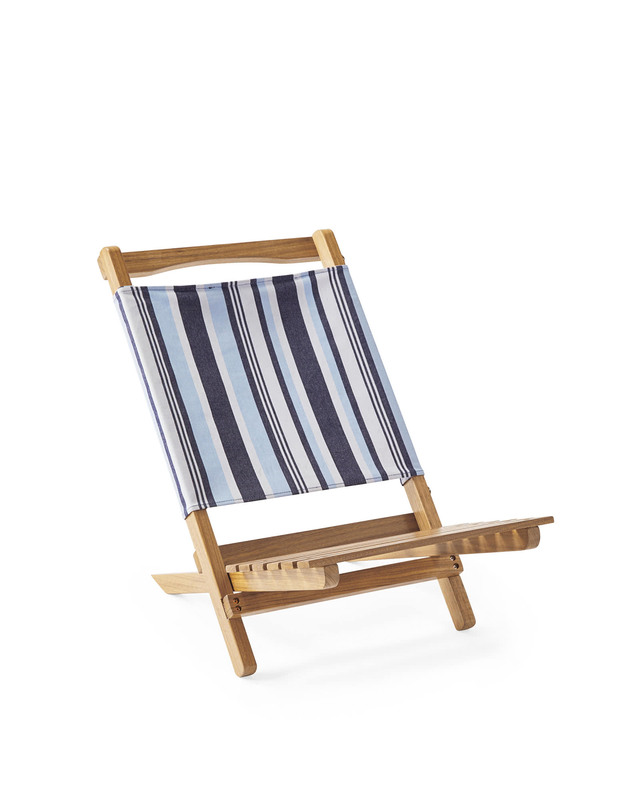 Did we mention this reclines? Choose from three angles of repose and just dream the day away. 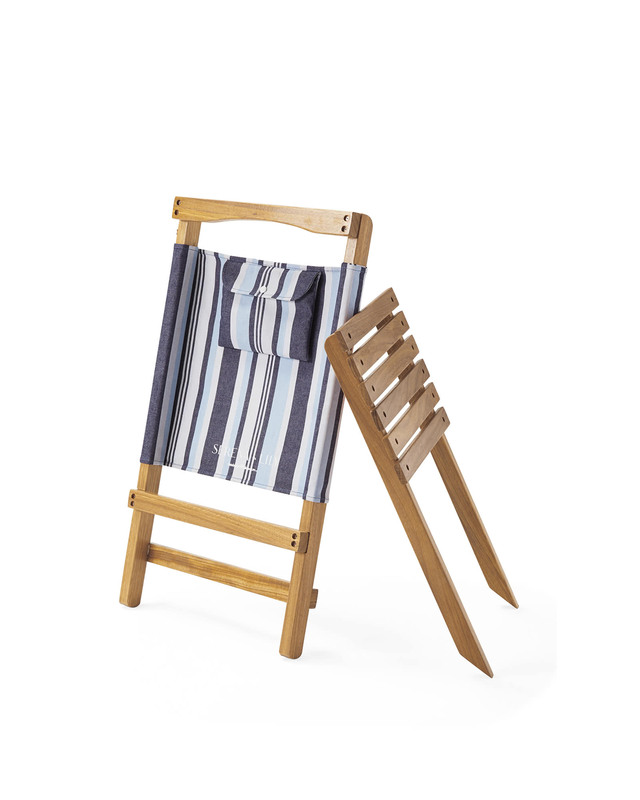 Frame is made of solid beechwood with stainless steel hardware and a weather-resistant coating. 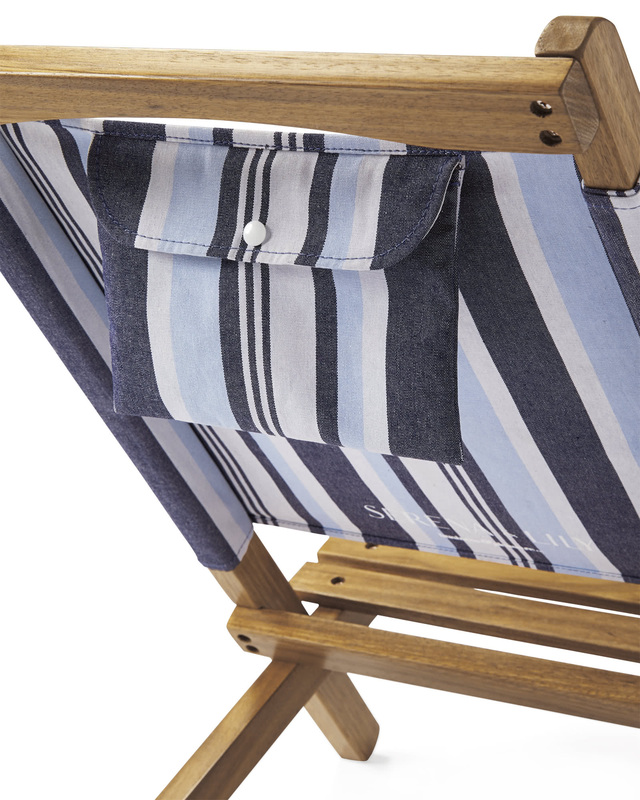 Backrest is made of UV- and water-resistant canvas, and features a zippered pouch. 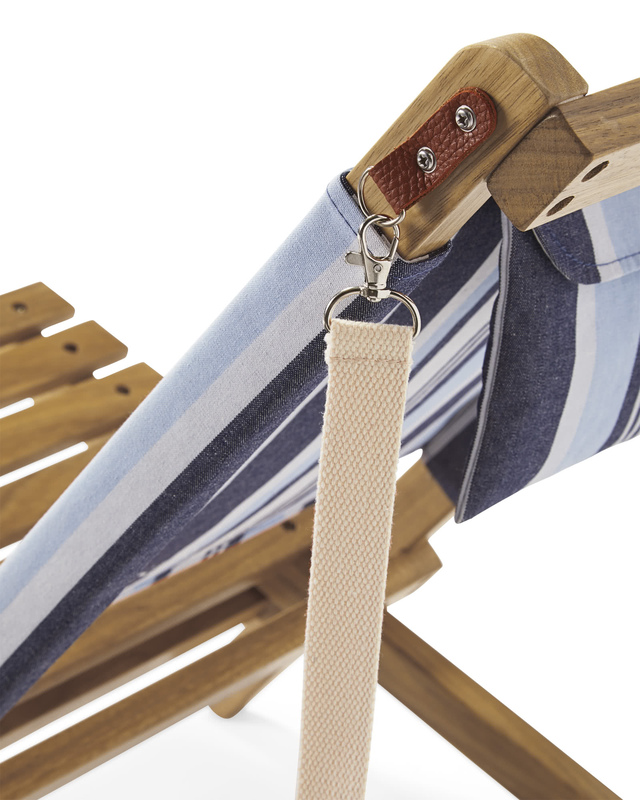 Webbing shoulder strap for easy toting. When upright: 28”W x 16”D x 22”H overall. When folded: 28”W x 16”H x 3”D. Interior Seat Depth: 10” x 16”. Pocket: 8” x 6” x 1”.